English has become the language of international communication in politics, business, and science. As a result of this development, we are now confronted with a bewildering variety of ‘Englishes’, spoken with many different non­native accents. Research determining how intelligible non­native speakers of varying native­language backgrounds are to each other and to native speakers of English has only just started to receive attention. 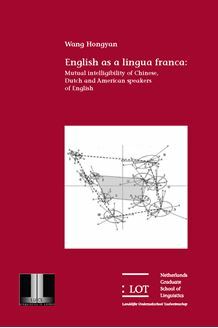 The present thesis investigated the extent to which Chinese, Dutch and American speakers of English are mutually intelligible. Intelligibility of vowels, simplex consonants and consonant clusters was tested in meaningless sound sequences, as well as in words in meaningless and meaningful short sentences. Speakers (one male, one female per language background) were selected so as to be optimally representative of their peer groups, which were made up of young academic users of English. Intelligibility was tested for all nine possible combinations of speaker and listener backgrounds. Results show that Chinese­accented English is less intelligible overall than Dutch­accented English, which is less intelligible than American English. Generally, the native­language background of the speaker was less important for the intelligibility than the background of the listener. Also, the results reveal a clear and consistent so­called interlanguage speech intelligibility benefit: speakers of English whether foreign or native are more intelligible to listeners with whom they share the same native­language background than to listeners with a different native language. I argue that this interlanguage benefit is best quantified in relative terms. This book should be of interest to phoneticians, phonologists, applied linguists and to teachers of English as a foreign language.